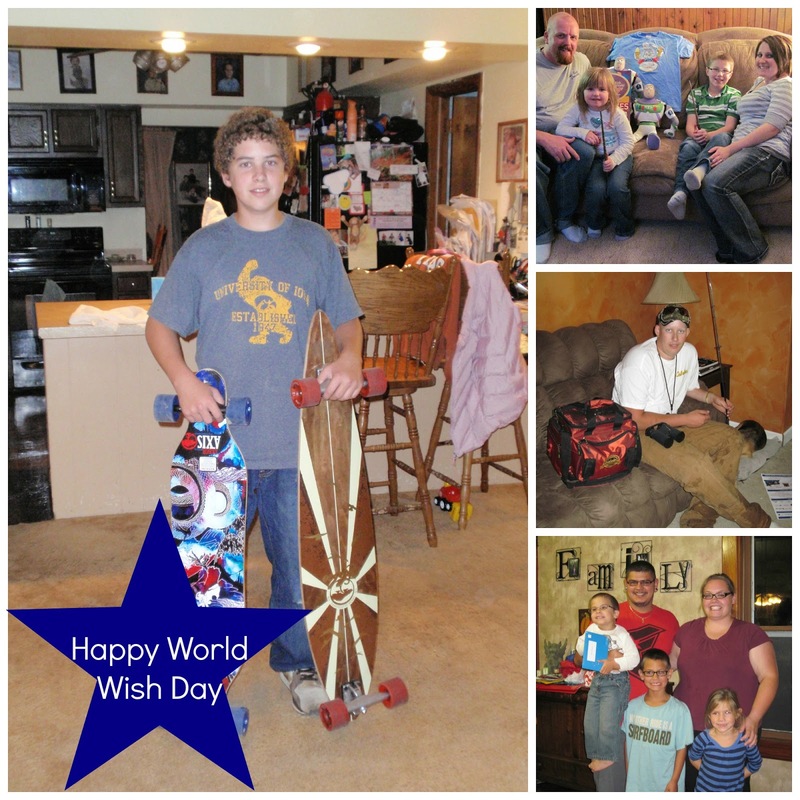 Corn, Beans, Pigs and Kids: Happy World Wish Day! Today, April 29th, is World Wish Day, a global celebration of wish-granting. It celebrates the day Chris Greicius received his wish to be a police officer for the day, inspiring the creation of Make-A-Wish and the organization's global wish-granting movement. Since Chris's wish in 1980, more than 300,000 children around the world have had their fondest wishes fulfilled by Make-A-Wish. Ever 23 minutes, Make-A-Wish grants the wish of a child with a life-threatening medical condition somewhere in the world. In Iowa, a wish is granted every other day. Make-A-Wish is an organization that is very important to me. I currently serve as the Vice-Chair of Make-A-Wish North Iowa and serve the organization as a wish granter. Why did I get involved? All because of my cousin Jake. He received an Alaskan fishing trip wish after he was diagnosed with bone cancer when he was in high school. Jake said that receiving his wish was something that meant so much to him and was the best thing that he did during his battle with cancer. Because of Jake, I started volunteering and granting wishes for Make-A-Wish almost five years ago. I even "Jumped for Wishes" in memory of Jake and in honor of all the Wish kids I've had the honor of granting wishes to last summer. So what can you do to help this great organization? In recognition of World Wish Day, Make-A-Wish has started a new campaign called "Wishes in Flight". This air-mile donation program matches every mile donated, up to 1 million miles, now through August 31st. Make-A-Wish needs more than 2.5 billion miles, or 50,000 round-trip tickets, to grant wishes each year. Every mile donated helps wish kids and their families travel to destinations around the world. Once donated, miles will never expire and are used to support wishes across the country. This is a simple way of changing miles, into smiles.